Pascal began Taekwondo training in London, Canada under Master Kim. Master Kim was a Hap Ki Do (5th Dan) and Tae Kwon Do (WTF 4th Dan) at the time. In 1988 and 1989 Pascal was Vice President of the organisation which then had around 500+ members. Due to having to move away from Canada for University reasons, Pascal had left the country somewhat later, just before being able to take his black belt exam. 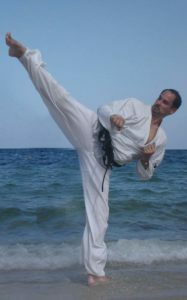 In the 90`s he joined the Traditional TKD schools of Kwon Jae Hwa in Germany and has been training in this and with this system since then, without break until today. 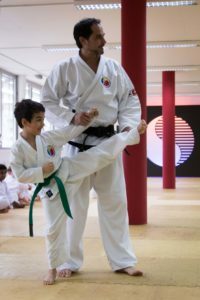 In 2009, he successfully opened his own school in Zurich, Switzerland, which, due to the relentless work and the team of black belts and instructors he has built up, has become the biggest and best known Taekwondo School in Zurich. 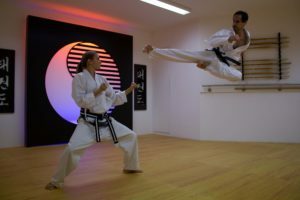 In 2015, he also successfully completed an instructor’s programme of the World Haidong Gumdo Association and is since also teaching sword fighting. In 2016, Pascal accepted the position of Chairman of the Traditional Taekwondo branch for the ITF HQ in Korea.